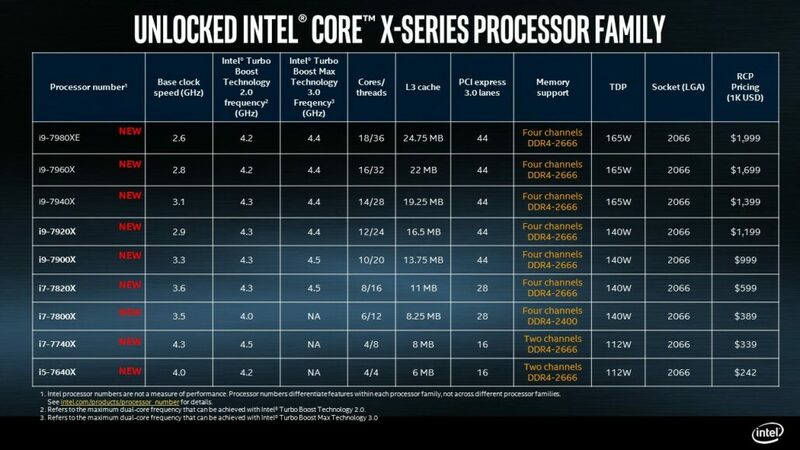 Intel went with a staggered launch approach with their Intel Core-X lineup, with the 10-Core (LCC) parts arriving first and the 12-Core and above parts (HCC) arriving at a later date (28tht August 2017). The Core i9-7920X is the first of the high core count parts and features 12 Cores and 24 Threads based on the Skylake architecture and X299 platform, the full Geekbench performance of which has leaked out. Geekbench is a fairly consistent benchmark (within the same vendor at any rate) so it was slightly surprising to see less than expected performance from the Core i9-7920X. The base clock as read by Geekbench is 2.9 GHz, which is consistent with Intel’s official reveal and should mean the clockrate isn’t the issue. It is likely then that this is an engineering sample that is using imperfect drivers to run Geekbench. 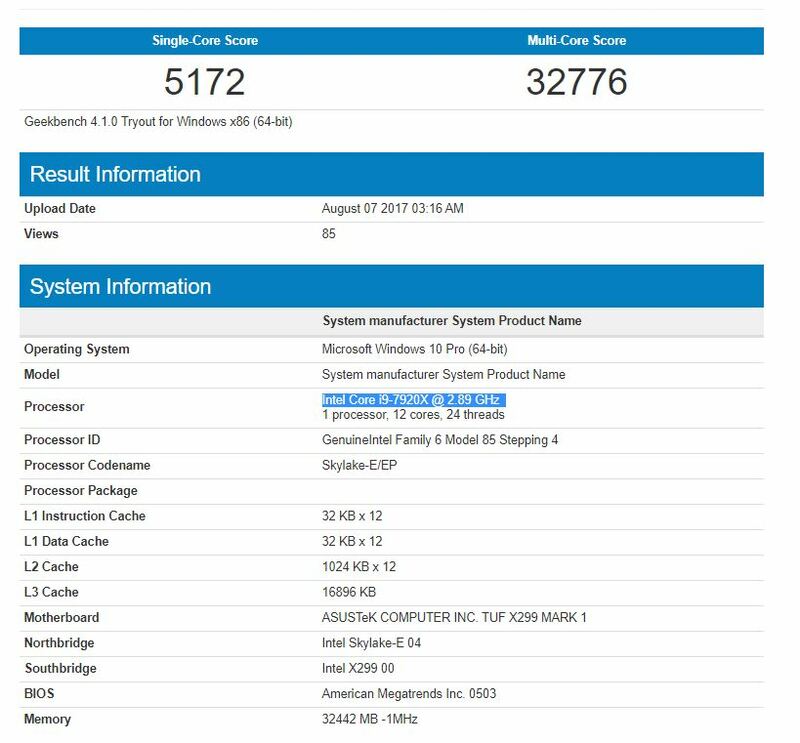 The reason I say this is because we have seen Geekbench performance of the Intel’s LCC parts and they outstrip this one easily. We have seen this sort of issue with the early Threadripper benchmarks as well. In fact, the Core i7-7820k (8-core part) scores around 6000 points in single core and 47000 points in multi core. This level of performance is actually on par with the the Core i9-7800X (6-core part) which scores 6000 points and 37000 points respectively. It goes without saying that as the core count increases we will be seeing scaling losses on the multi-core side but this is just too lackluster a performance for it to be present in the final product. 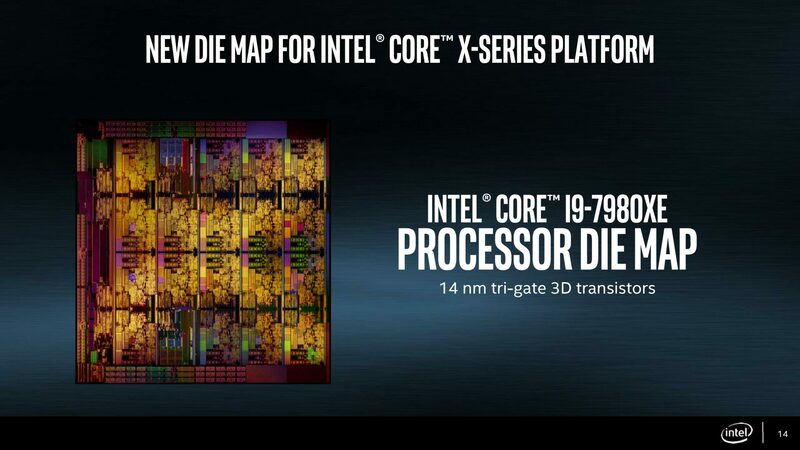 I expect Intel will be tweaking their parts to kingdom come as the 28th August launch draws near and I wouldn’t rule out Day 1 (or after) microcode/bios updates either. The theory that Intel rushed all parts above 10-Core in response to Threadripper appears to be getting validated every passing second. Priced at $1199 (you are paying $99.916 per core) ) and featuring the Skylake-X architecture, the Core i9-7920X is one of the more value oriented offerings for VR and content creators. Priced at a relatively affordable level and still offering almost 3 times the core count of what you would usually get from a mainstream Core series (till the last generation), this particular processor is going to be a fan favorite. It features a Turbo Boost Max 3.0 of 4.5 GHz (same as its elder siblings) and an unknown base clock. 12 MB of L2 cache is complimented by 16.5 MB of L3 cache. It features 44 PCIe lanes as well as quad channel DDR4-2666. The TDP is lowered to 140W.